What benefits you can expect from that medicine. You may also be interested to try some really awesome products that my husband and I started to use about two months ago with great results!! CBD Oil is mainly extracted from the Hemp plant. However, it is also one of many compounds of the Cannabis plant and there are Cannabis strains successfully cultivated which contain high-quality CBD. 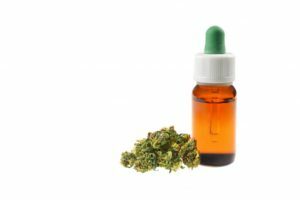 CBD Oil can contain a different concentration of CBD. At the recent market, you can find a variety of CBD concentrations between 50 grams and 3,000 grams. CBD doesn’t contain psychoactive compounds as RSO, Rick Simson Oil extracted from the Cannabis plant containing psychoactive THC (Tetrahydrocannabinol). The human body produces certain cannabinoids and contains numerous receptors where the from the plant extracted cannabinoids can attach. Known receptors for the CBD are CB1 and CB2 receptors. CB1 receptors are spread all over the body, but mainly you will find them in the brain. At the moment you add CBD to your system the brain will activate the receptors and get a boost to handle coordination and movement, emotions, pain, mood, cognition, and many other functions. CB2 receptors are mainly in the immune system and they help to deal with inflammation and also a pain. 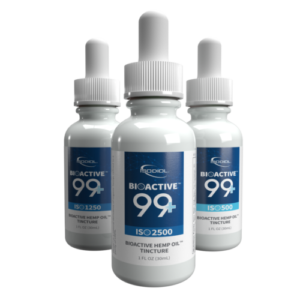 CB2 also stimulate the body to produce and use more of its own cannabinoids. CBD is good for pain relief, including chronic pain like i.e. by arthritis, has anti-inflammatory properties (good for a variety of infections). There is evidence found that CBD will help to stop addictive behavior, i.e. quit smoking and opioid addiction disorders. So, there is a big hope for all patients addicted to their prescription drugs containing opioids, and other drugs for CBD seems to prevent and reduce the withdrawal symptoms. CBD also reduces symptoms associated with general substance use disorders, is quieting anxiety, mood-related symptoms, and insomnia. CBD helps by epilepsy and other neurological disorders i.e. by schizophrenia. A big field where you can find help with CBD Oil is cancer! 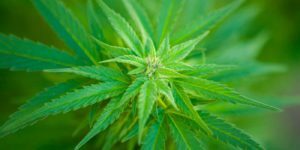 A review published in the British Journal of Clinical Pharmacology contains significant findings that CBD is preventing cancer to spread in the body. The authors of the study addressed that CBD tends to suppress the growth of cancer cells and helps to destruct them. A study published in 2016 by Clinical Hemorheology and Microcirculation shows that CBD eases the inflammation in the pancreas and one year later published study shows that there is help for type 1 diabetes. Though many studies looking into side effects caused by CBD, there is no evidence that CBD caused any side effects. The researchers haven’t found significant evidence for side effects on the central nervous system, vitality or mood even by patients taking high doses of CBD. The only side effects found were tiredness by some patients, diarrhea and appetite changes. I saw myself confronted with lots of information about and also have a friend, Dennis Darragh, who successfully cured his cancer himself, brought me to try CBD myself. I’m using CBD products now for about two months and I’m amazed. Fortunately, I don’t have any heavy symptoms to deal with it. However, CBD Oil helps me with the hormonal ups and downs; it helps me to fall asleep easier, sleep through and go back to sleep easier when I woke up in the night – what is happening almost every night because of our three rescue kittens. Recently I started to use CBD Oil with the concentration of 1,250 grams, a great product from Isiodiol. Also, my husband uses that oil to improve his skin problems. 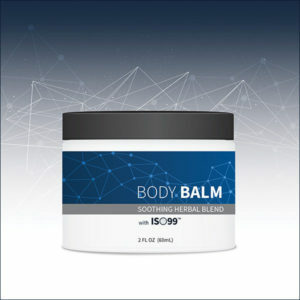 Other CBD product I love is the Body Balm that also helps by skin irritations and insects bites. 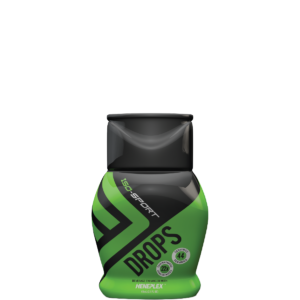 During the day I apply CBD Oil Drops that give my body a beautiful boost and support my mind to focus and improves significantly my clarity! I experience myself calmer and more motivated. My nature is being motivated but the Drops bring my motivation high up even under challenging circumstances! I apply only two servings a day! The CBD products from Isodiol are in excellent quality as you rarely will find them elsewhere and in the highest concentration grades at the market. Check out also the prices which are very competitive and you will also be able to buy the products with great discounts. I will keep you posted about any news. Summary: I highly recommend CBD products from Isodiol! There is an awesome service added to it. You can ask detail questions and receive detailed information! I was also highly surprised by the super-fast delivery to Hawaii in only two days from placing of my order. If you consider to use those products or just purchased one or more of them let me know about your experience you made. So, please take a couple of minutes and give me feedback! If you have any questions, please, write them down! I would love to support you on your way! Please, check out also my blog with many awesome methods for self-improvement! See you next time. Until then all the best for you! This entry was posted in CBD Oil, CBD products, Review. ← Zen12! Complete Your Meditation In 12 Minutes a Day! Awesome stuff! Thanks for mentioning me in the article. I get the warm fuzzies LOL. You had a link about epilepsy and it led to an article about the new Big Pharma drug. Do you realize that it is a Cannabis Sativa Marijuana based oil. The dose is 50mg a day for the average person at a cost of $96 a day = $32500.00 a year. It is derived from cannabis sativa marijuana plants not industrial hemp. I believe that the cbd is cbd whether it is from the marijuana plant or the industrial hemp plant when it is used as an Isolate. Using 50 mg of the Isodiol 1250 would cost you approximately $4.00 a day or $1408.00 a year. I can’t see where the cost comes in. And 50mg does not sound like the cure it sounds like the treatment. Charlotte took thousands of mg a day to cure here epilepsy and takes 25 mg a day as maintenance. I took 1500mg a day when I was fighting the cancer and now take 80 to 150mg a day as maintenance. The Charlotes Web oil is from a hybrid cannabis sativa marijuana plant just like the epidiolex so I don’t see the price difference or the dosage difference. Web have the same problem in the MM Dispensaries with the RSO. It comes in a 50 mg capsule or a ten gram syringe. The recommended dosage is 50 mg per day. It is commonly known worldwide that you need 1000 mg a day to cure most cancers, much more in difficult cases. The budmasters(dispensary personnel) tell people to try the recommended dose and see how it works but there is no way to test the results. We should be able to grow and make our own natural medication but if ya gotta buy it Isodiols got the best!